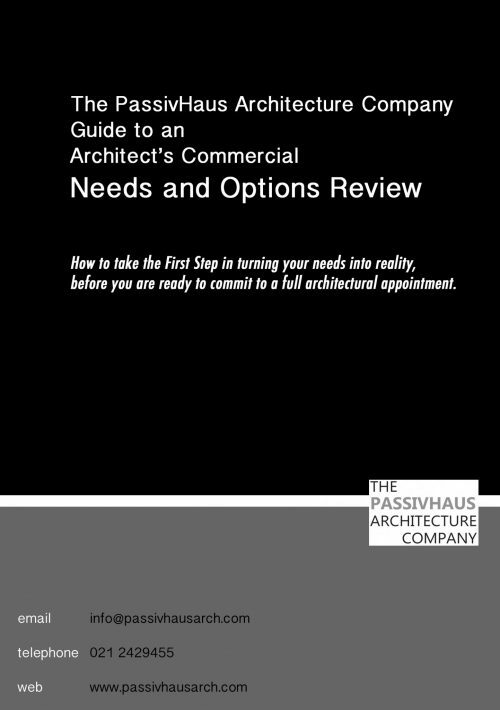 Passive house cost analysis. 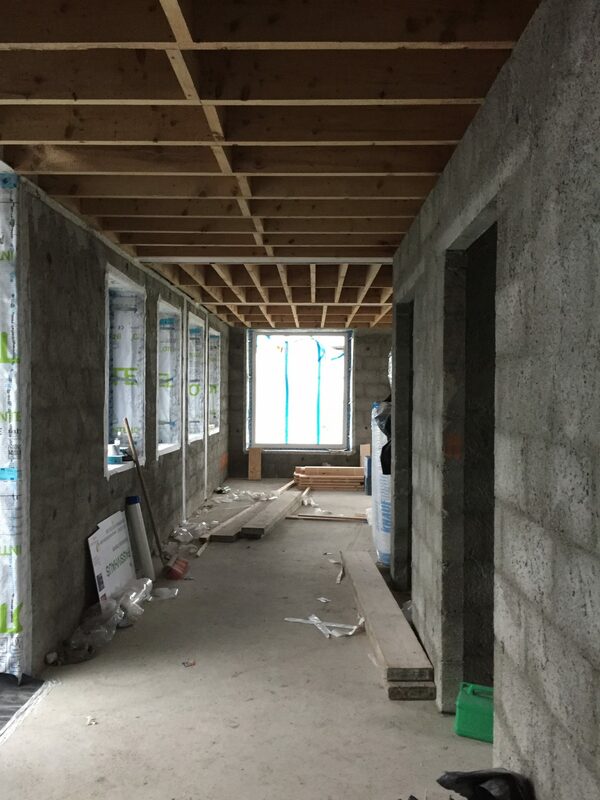 Summer of 2018 sees us starting on site with our latest PassivHaus home, a new-build single family dwelling on the family farm in Ballygarvan, Co. Cork. Contract negotiations lead us to look closely at the cost difference between the desired Passive House standard of energy performance and the legal minimum, Part L standard. 3 m3/(m2.hr)@50Pa air permeability instead of 0.6 air changes per hour N 50, with one final test in lieu of 3 PH tests during the project. Reduction of wall cavity depth from 250mm to 175mm, reducing the U Value from 0.123 to 0.171 W/(m2K). 100mm of mineral wool/timber structure was omitted, reducing the U Value from 0.117 to 0.155 W/(m2K). Quadrupel pane rooflights were omitted for double-glazed units. Simplification of window cill support, from our thermally broken detail, to a conventional precast concrete cill with rear-face insulation, similar to Part L Acceptable Construction Details. Standard cavity metal wall ties in lieu of Ancon/Teplo low conductivity wall ties. Armatherm FFR thermal breaks were omitted from steel to steel junctions in the slab and cavities where required. Omission of the Heat Recovery Ventilation System for stand-alone Demand Controlled humidity -sensitive extract ventilation with dampened inlets. Additional radiators would be required. Narrower walls allowed narrower foundations. Byrne and Co. Quantity Surveyors for the project valued these potential performance reductions. The net savings on the contract sum for this dwelling of 162.5 square metres was 5% of the total cost (including limited site works and services). Fortunately this client did not need to execute the reductions and this is proceeding on site as a certified passivhaus. However, we note that this cost difference accords with other reported projects of a similar nature, i.e. one-off house. For more information on the site progress of this build see our TiepHaus page here. 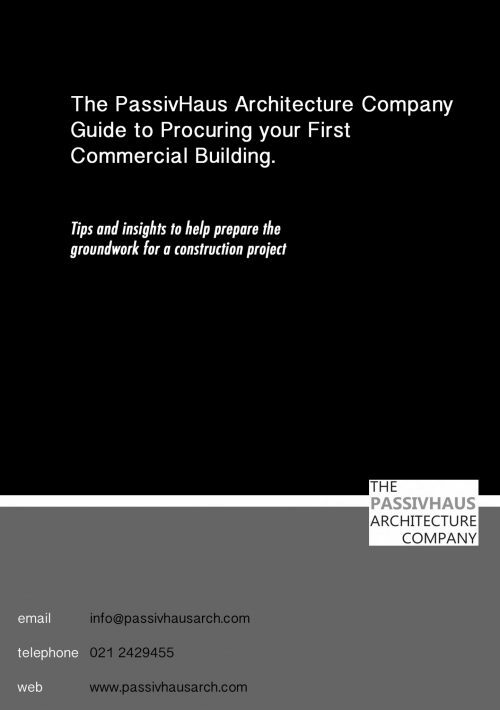 Paul McNally architect, passivhaus expert, director of the PassivHaus Architecture Company based in Cork, Ireland. 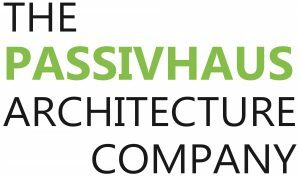 Designer of completed award-winning commercial, residential and refurbishment certified PassivHaus projects since 2004.